These stunning platinum prints of women bathers in Budapest and Istanbul take us inside spaces intimate and public, austere and sensuous. Over a period of eight years, Williams, who is based in New York City, traveled to Hungary and Turkey to photograph, without sentimentality or objectification, women daring enough to stand naked before her camera. 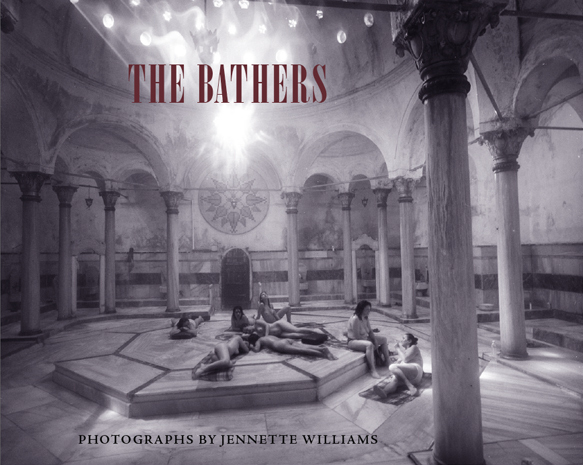 Young and old, the women of The Bathers inhabit and display their bodies with comfort and ease—floating, showering, conversing, lost in reverie. Williams has created quiet, dignified images that not only invoke canonical representations of female nudes but also early pictorial photography. At the same time, they raise contemporary questions about the gaze, the definition of documentary photography, and the representation and perception of beauty and femininity, particularly as they relate to the aging body. Above all else, her photos are sensuously evocative. They invite the viewer to feel the steam, hear the murmur of conversation, and to reflect on the female form.